Christmas stocky is one of the popular design in Nepal Mithila Women Handicraft. 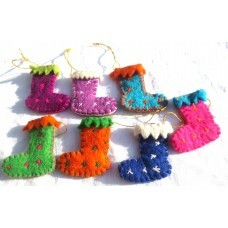 It is one of the item which helps to decorate Christmas tree. it is handmade product and it is available in different color.